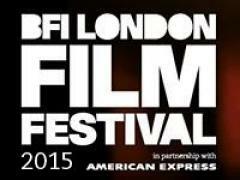 From October 7 to 18, BFI΄s (British Film Institute) London Film Festival 2015 will welcome films and filmmakers for its 59th annual gathering. UK΄s leading film event will introduce the finest new British and international films to a UK-wide audience, attracting at the same time a significant international film industry participation. London Film Festival gives prizes for three competition sections - the Best Film Award to the winner of the Official Competition, the Sutherland Award to the winner of the First Feature Competition and the Grierson Award, presented to the best film of the Documentary Competition. This year LFF introduces the Short Film Award, presented to one of a shortlist of 12 films selected from across the programme. Polish filmmaker Pawel Pawlikowski will preside the Official Competition Jury, which includes actors Chiwetel Ejiofor and Kristin Scott Thomas, producer Christine Vachon and director Mabel Cheung. A number of Balkan film and co-productions will be part of the festival. Chevalier by Athina Rachel Tsangari (Greece, 2015) is competing for the Best Film Award at the Official Competition, while Yorgos Lanthimos΄ The Lobster (Greece/UK/Ireland/Netherlands/France, 2015) will be screened at the Gala screenings and Special Presentations and the Dare programme. The Dare programme has also included Father by Visar Morina (Germany/Kosovo*/FYROM/France, 2015) and One Floor Below by Radu Muntean (France/Romania/Germany/Sweden, 2015). Florin Serban΄s Box (Romania/Germany/France, 2015) and Thirst by Svetla Tsotsorkova (Bulgaria, 2015) are programmed for the Love section. Another Greek production, Alexis Alexiou΄s Wednesday 04:45 (Greece/Germany, 2015) will be part of the Thrill programme of London Film Fest. Finally, at the Journey programme, we find Aferim! by Radu Jude (Romania/Bulgaria/Czech Republic, 2015) and Sworn Virgin by Laura Bispuri (Italy/Germany/Switzerland/Albania/Kosovo*, 2015), while the short film Tuesday by Ziya Demirel (Turkey/France, 2015, 12΄) is competing at the new Short Film Award Programme.